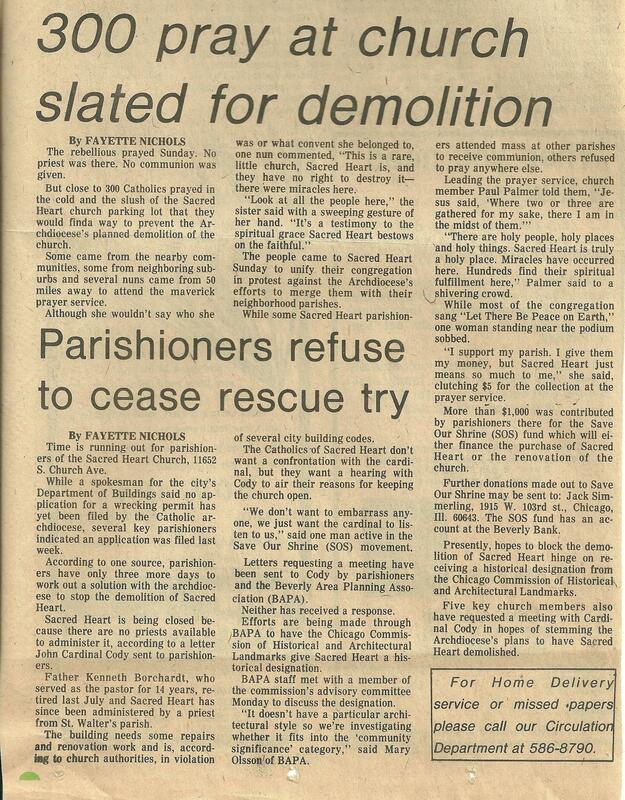 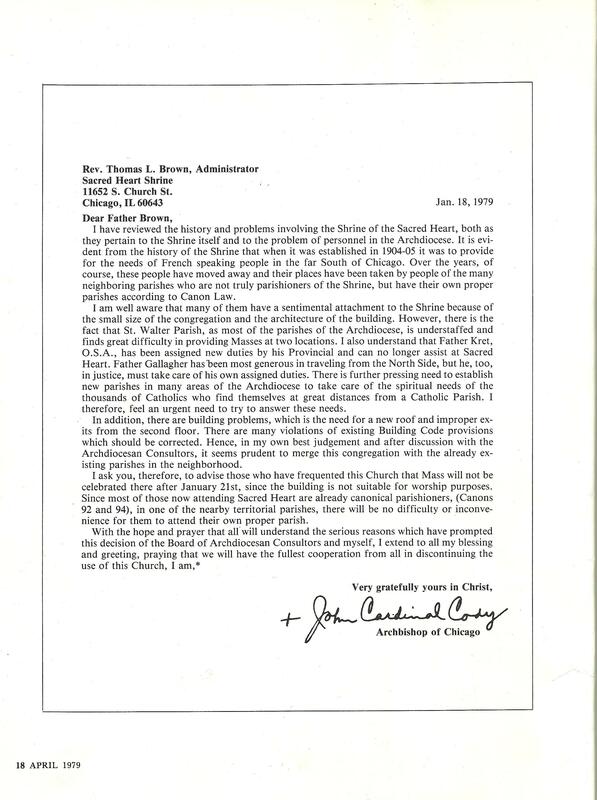 On January 18, 1979, Cardinal Cody issued a directive which closed Sacred Heart Church after January 21, 1979. 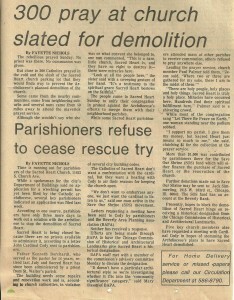 Cody intended not only to shutter the little church, but also had plans to demolish it. 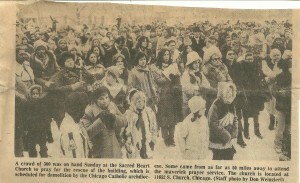 The response from parishioners was swift and the Save Our Shrine movement was organized. 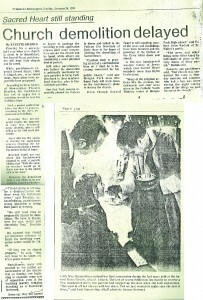 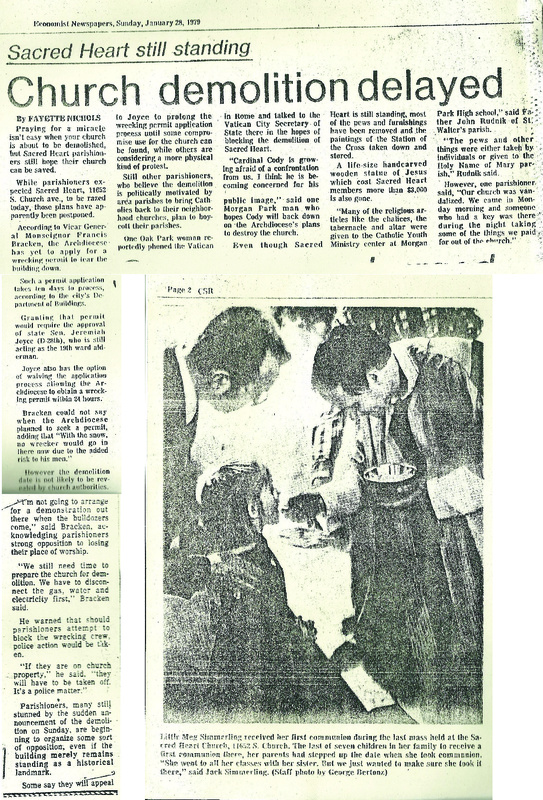 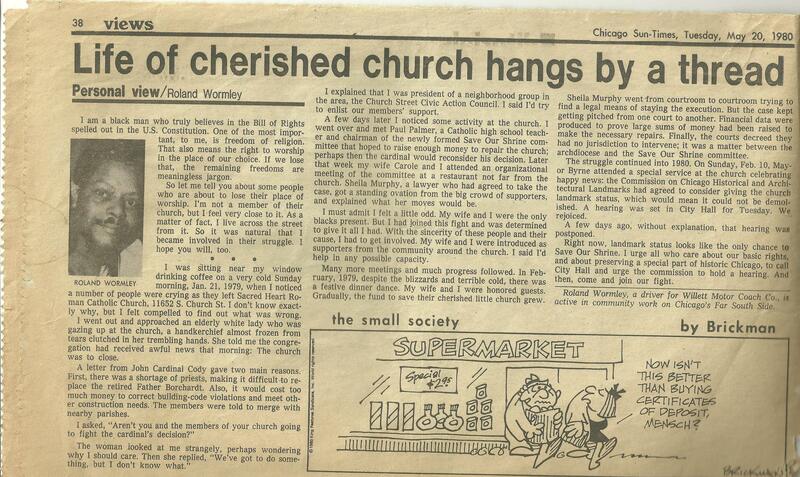 Chicagoland Monthly magazine had a good article about the closing of Sacred Heart Mission in the April 1979 issue. 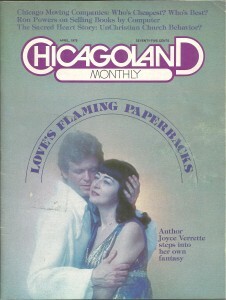 This booklet was published by the Commission on Chicago Historical and Architectural Landmarks, in August 1980. 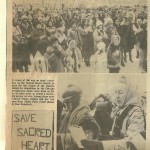 It contains a few photos, along with an extensive history on Sacred Heart Mission. 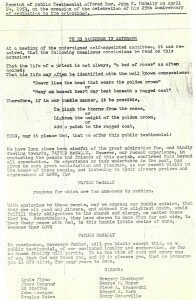 View a pdf of the booklet by clicking here. 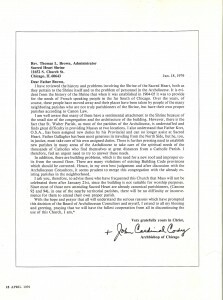 On Sunday, September 18, 2011, at 10:30am, a Mass of Thanksgiving will be celebrated in honor of the 50th Anniversary of the Ordination of Father John Anthony Kret, O.S.A. 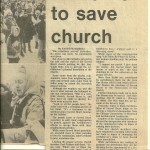 A celebration and refreshments will be held following the Mass. 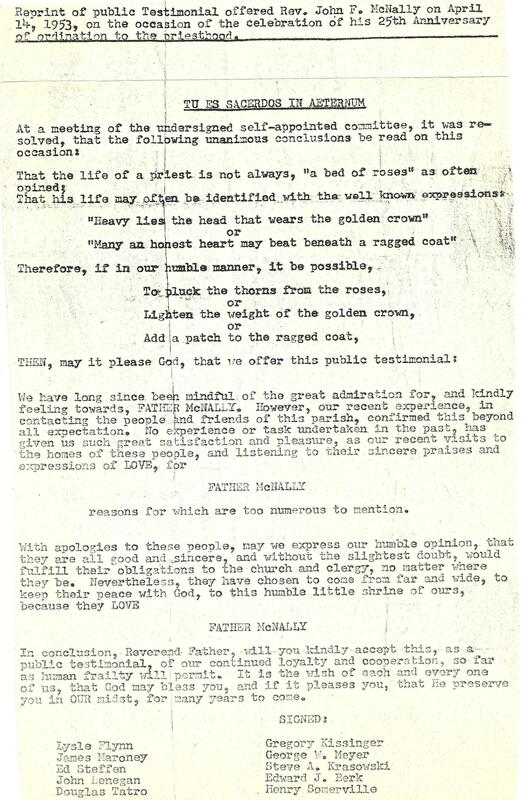 In the 1920’s, Father de Norus published a magazine called “The Blessing.” It was produced monthly and chronicled events at Sacred Heart Church. 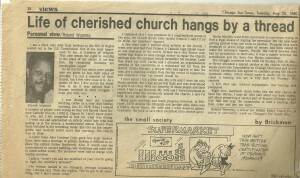 After reading about this in the book “Spires of Faith: Historic Churches of Chicago,” I decided to name the blog part of this site after the magazine.